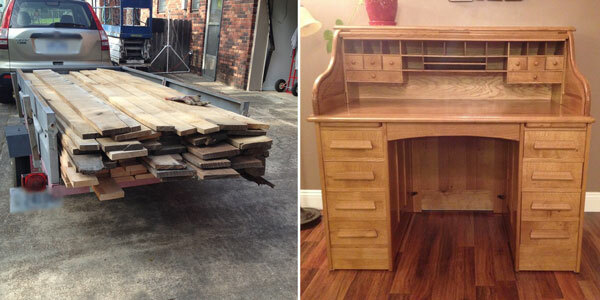 From tree to furniture, we love hearing about these types of woodworking projects! Randy Sharp from the Sawdust Inn recently shared a project he was working on…a massive rolltop desk build. The tree from which this rolltop desk was built was originally cut in April 2013. Randy cut the lumber and stored it in his shop for months with no real plans to use it anytime soon. But then on February 20, he took the first step in building his dream project by cutting the first board for the rolltop desk build. This was Randy’s first project from quarter-sawn white oak and the first time using a fuming technique to color the wood. He said it was a very educational and enjoyable process. From lumber to a finished product in just under 5 months! Read about Randy’s project from the beginning on the Sawdust Inn Blog. A huge shoutout to Randy for sharing his impressive project with us. Thank you for sharing! Previous Article Is Time a Human Construct?